Elizabeth Warren has released DNA results that supposedly show her Native American history, but there's a problem. Democrat Senator Elizabeth Warren has released a DNA test that supposedly shows “strong evidence’’ she had a Native American in her family tree dating back 6 to 10 generations. The move coincided with a slick campaign ad that uses the information. However, many of the leftist media stories running the ‘release’ seem to bury an important fact. The ‘expert’ DNA specialist could only use “samples from Mexico, Peru, and Colombia to stand in for Native American” for the comparison. So, many conservatives recognize that both the timing, and the so-called ‘evidence’ is really not as strong as liberals would like the public to believe. That sort of stretching claim has amused many conservatives. The democrat, whose claims have been mocked by President Trump and other Republicans, has been under fire recently for weird ‘mistakes’ on her tax records and for supporting a casino bill that would take jobs from a small town that really needs them. On her taxes, “Sen. Elizabeth Warren, D-MA, and her husband have been writing off hundreds of thousands of dollars in charitable donations,” according to the Boston Herald. 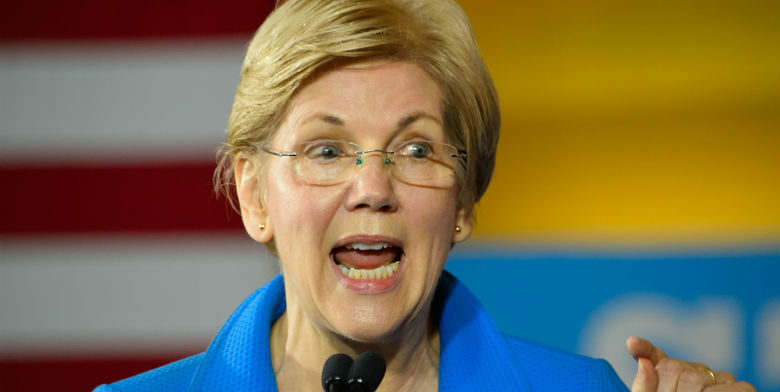 Warren is seeking reelection in Massachusetts and will reportedly take a “hard look” at running for president once the midterm elections are over. It’s interesting to many people that Warren didn’t use a “commercial DNA service,” and her aides would not confirm if she or her three siblings had previously submitted to a commercial DNA test, which would offer corroboration for Bustamante’s analysis. Previously, President Trump offered to provide $1 million to a charity of choice if she took a DNA test. In the coordinated campaign ad just released, she used clips from Trump and Sarah Sanders attacking her for making the Native American claims combined with the ‘new’ information. Whether this will make a difference to voters is anyone’s guess, but what isn’t difficult to guess for many people, is that the leftist media will use this information for all it’s worth against President Trump.